Should you find yourself preparing a massive spray paint project, you're probably going to need a massive amount of spray paint! Sure, you could juggle them, or throw them in a bag. 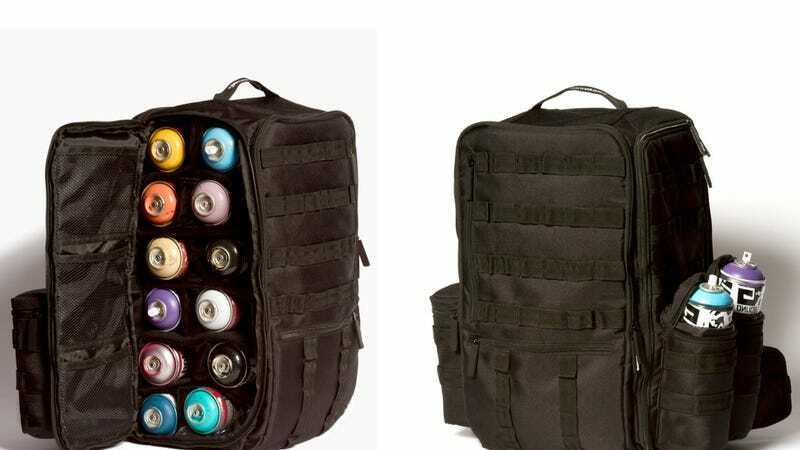 Or carry this ginormous spray paint monster backpack.